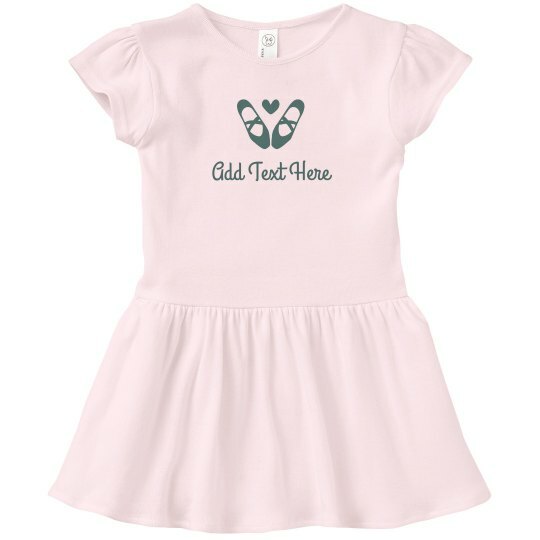 Give your little ballerina a dress she can dance and twirl in! This custom ballet shoe design is perfect for showing off her girly side, and you can add her name, a quote, or her studio at the bottom. This is perfect for friends or as a gift, so snag one today!